What is War and Peace? 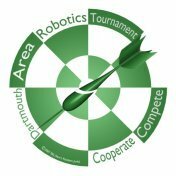 War and Peace is an epic robotics tournament in the upper Connecticut river valley. Open to all First Lego League (FLL) teams, it combines the energy of an FLL robotics competition with a commitment to the best tradition of scientific collaboration. Timed to be a final tune up before the official FLL Tournament Season, it offers the chance to both practice competition and share knowledge. Wild About Robotics. FLL Robotics teams are sprouting all over the region. We hope this tournament will prepare teams to head south to compete with confidence. Pretty Excited About Collaborative Exchange. This tournament is a cooperative venture. It costs no money to enter, but all teams are expected to participate in a spirit of cooperation and encouraged to contribute what effort they can to make the tournament run. We know that new teams are bound to be busy just getting up and running, and if you only have one coach she will have her hands full as well. But if you have some experience and some time, please volunteer. As a tournament insider, you will build experience and relationships that would be hard to duplicate. Why isn't this all done yet? What are you waiting for? This site is a wiki. By definition it is a work in progress, like the tournament. If something is missing (like a schedule) it probably has not been decided yet. If something is missing, maybe its because you haven't made it yet. Join the team and help us create this tournament. at and we will contact you. Schedule — Not set yet. The tournament will probably take place in early November. History of War and Peace Robotics … if you can believe it.